De Beauvoir Town N1 carpet cleaning has the tools you need to get your carpets cleaned right. Our cleaners are vetted professionals and can manage every cleaning task, no matter the size or the fabrics of your carpet. They are certified, which is a guarantee for quality. You can just call us on 0208 861 0979 for more information. No chemicals, our cleaning agents are both child-safe and eco friendly. Magic’s carpet cleaners in De Beauvoir Town upholstery cleaning, rug cleaning and stains removal will tackle those annoying, tough stains and dirty furniture. Count on De Beauvoir Town carpet cleaning for all your cleaning needs.De Beauvoir Town dry carpet cleaning> uses an advanced dry power cleaner that will be hovered to remove all dirt and debris from your carpet. De Beauvoir Town N1 steam carpet cleaners use the power of steam to get deep into the fibres of your carpet and make it look new. Our friendly office assistants are available 24/7. They are ready to answer to all questions you have. By giving us an information about your carpets size and dimensions, you will get a free price estimate. 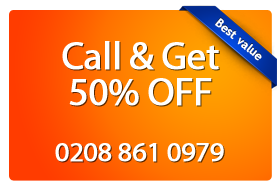 All you need to do is call on 0208 861 0979 or fill our on-line booking form above.